In 1949, Antone Costa moved to the town of Westport. He enrolled in Business school and began to study Accounting, Cost Accounting, and Business Law for the next three years. Around that time he realized that Westport did not have a banking facility. Upon consulting the President of St. Mathieu’s Credit Union, he began to assemble a group of 25 people. The first organizational meeting of the 25 Westport individuals was held in the Sterling Beverage Building (where the Hampton Inn is now located). A representative from CUNA addressed the group and presented them with a Charter. Westport Federal Credit Union became the first financial institution in Westport. The first meeting was held at the Grange Hall on Old Bedford Road. William Birkett was elected as the first President. Antone Costa was the clerk. He wrote ten books before realizing he was not a member, so he became book number eleven. The American Legion Hall became the weekly meeting place of the board. For the following two years, every Friday evening from 6:00 pm to 9:00 pm with no heat and poor lighting they held their meetings. A cigar box was used for the money collected. There was also a branch office at a variety and package store on Sanford Road, owned by Phillip Barnaby, a member. Some members would make their deposits there and he would turn the money over to the treasurer at the time, Robert Butler. In 1955, the Credit Union hired its first teller, Thelma Sullivan. An asset to Westport Federal Credit Union over the past fifty-eight years, she currently serves on the Board of Directors. The Zulmira Plaza was built in 1965. The Credit Union once again decided to move to new headquarters where it has remained since. 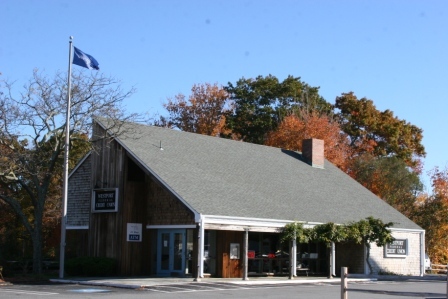 Westport Federal Credit Union would go on to acquire St. George’s Credit Union and following that, opened the Central Village Branch on Main Road in Westport on April 16, 2001. In 2004, the Credit Union reached $40 million in assets and was granted an expanded field of membership. The towns included in the expansion were Fall River, Somerset, Swansea, New Bedford, Dartmouth, Fairhaven, Acushnet, and Freetown. Westport Federal Credit Union is proud to provide service and dedication to the SouthCoast.